2019 CMHA Sask. Cash Calendar Monthly Winners! 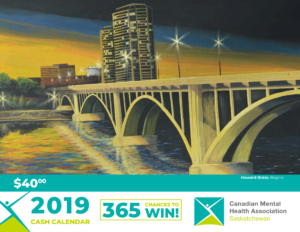 As soon as the month’s Cash Calendar winners are posted here we share the link on CMHA SK’s Facebook and Twitter pages, so be sure to follow us for the latest information. *Please Note: CMHA SK Cash Calendar winners are posted as soon as possible, typically within a week after the end of the previous month. We are only able to post winners on a monthly basis. Thank you for your patience and best of luck to all our Cash Calendar supporters. 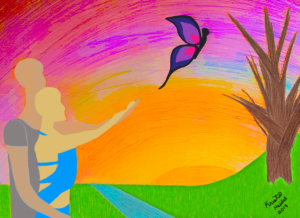 2019 Cash Calendar Artwork Submission Winners for…. We got a ton of amazing art submissions on Instagram (@CMHA_SK) make sure to check out what others have submitted as! Thank you for supporting Saskatchewan Division’s Mental Health Fundraiser! 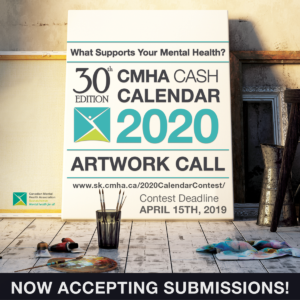 When you support the CMHA SK Cash Calendar, you are directly supporting mental health in Saskatchewan. Your support of CMHA SK’s Calendar Fundraiser makes a real difference in the lives of the many people in Saskatchewan facing mental illness. January 2018 Cash Calendar Winners List!